This is only my third post...and I've felt like I could have started each with "what a week", but seriously what a week!! It was one for the books. I did finish the wall paper and I am so pleased with it. It's such a fun addition of color and pattern and I love it! I really wanted to paint the black cabinet this week, but no such luck. I did pick up the paint and supplies and I'm hoping to do the painting early this coming week. I also finally decided on the hardware for the cabinet and Man! being your own client is tough. There are just so many great hardware options out there and it's one of the little details that I love. 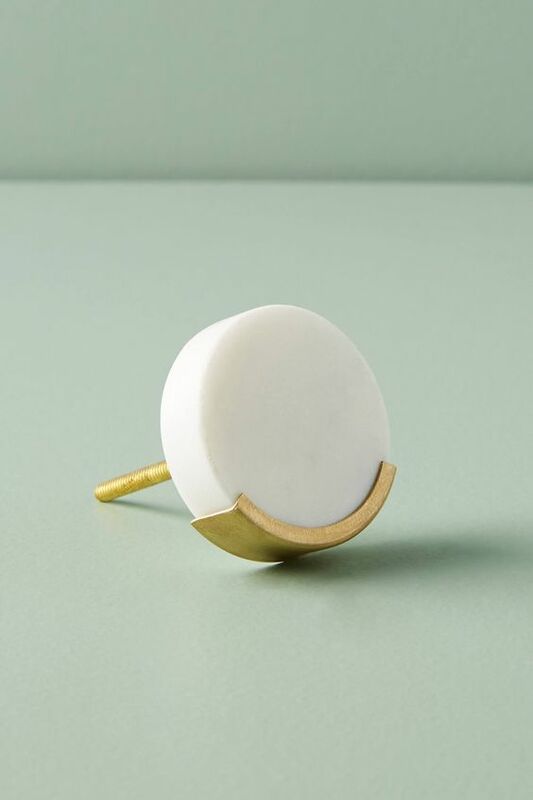 I went with these brass and marble beauties from Anthropologie -I'm trying to pull in some natural elements and these fit perfectly (I need two knobs and two pulls). I'm ready to make some big strides this week! See all the other ORC guest participants' updates here.